LFD Holding has opened converted stables for their own gilts breeding in Loburg this week. 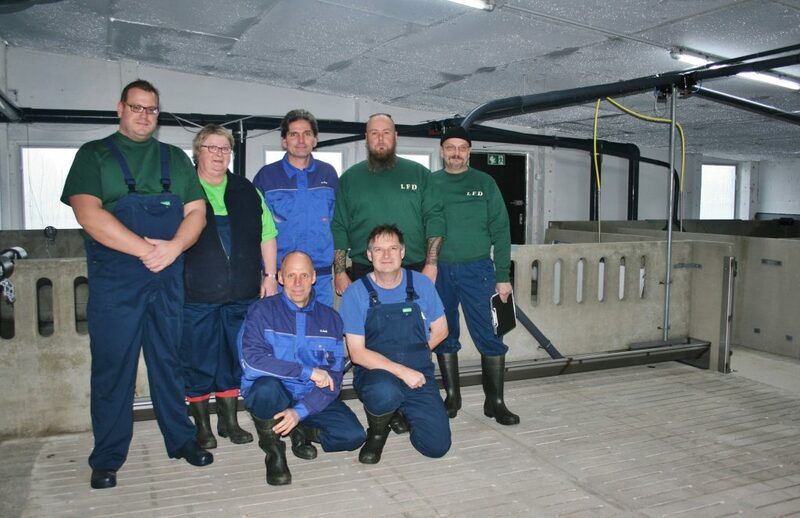 As part of a reclassification, the former fattening plant in Loburg (Saxony-Anhalt), which belongs to LFD since July 2014, was converted for the upbringing of 14,500 gilts. The inspection of the structural restoration was accompanied by a small celebration for the employees at the site on Wednesday. “With the facility in Loburg, the gilts breeding of LFD is now secured at one location within the group,” said LFD CEO Jörn F. Göbert. Important safety and quality measures could be implemented much better centrally than at several locations, Göbert continued. LFD is one of the very few larger piglet breeders in Germany, who can rely on their own breeding of sows. In March of this year, the construction works began. 2.4 million euros were invested in new manure channels, slatted floors, equipment, additional windows, ceilings, illumination and a modern ventilation system. The social area for the employees has also been renovated. “This is quasi a complete renovation. We also carried out a large part of the work ourselves”, site manager Angela Hiob praised her employees. Already two weeks ago, the first female piglets moved into the already completed part of the facility. 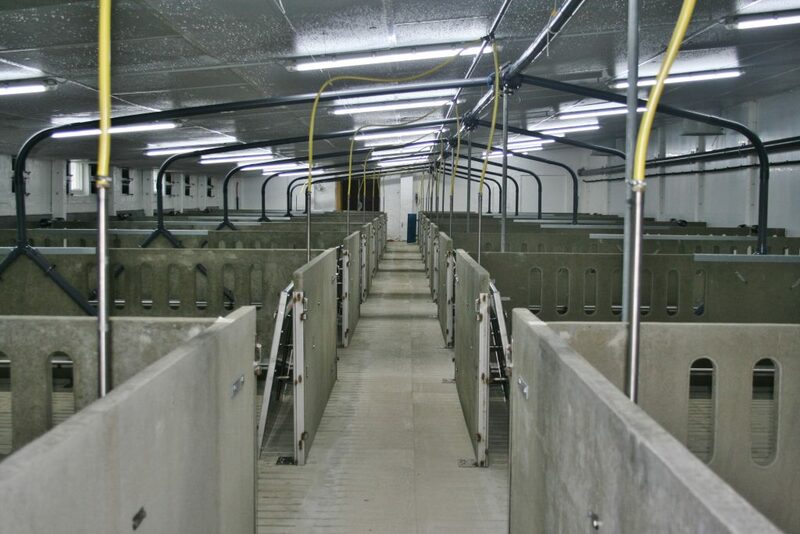 Here, they will grow to gilts within about 21 weeks, maintaining the highest health level. “The animals arrive with a weight of 30 kilograms. At the end of the breeding season, they weigh 140 kilograms. For insemination they are brought to another location. The sows that we raise reach an average age of three and a half to four years,” Göbert explained. Animal welfare aspects were also considered. For activity, non-splintering poplar wood and pipes for biting are provided for the animals in the compartments. Theo Koppens, whose company supplied the equipment for the stables, explains: “We have arranged the material so that only a maximum of twelve animals play with one toy.” The lighting concept also contributes to the species-appropriate husbandry: The additionally installed windows provide bright daylight, which is supported by a modern lighting system and provides a constant brightness level of 80 lux.